I can't even believe it has been a whole month since our sweet Gus Gus joined our family. Time is so weird when you have an infant. The days and especially the nights seem so, so long. Yet, they just fly by. It truly is the longest, shortest time. I do hope to get Gus' birth story up sometime in the next few weeks, but finding time to write down thoughts has been a challenge (as can be expected). 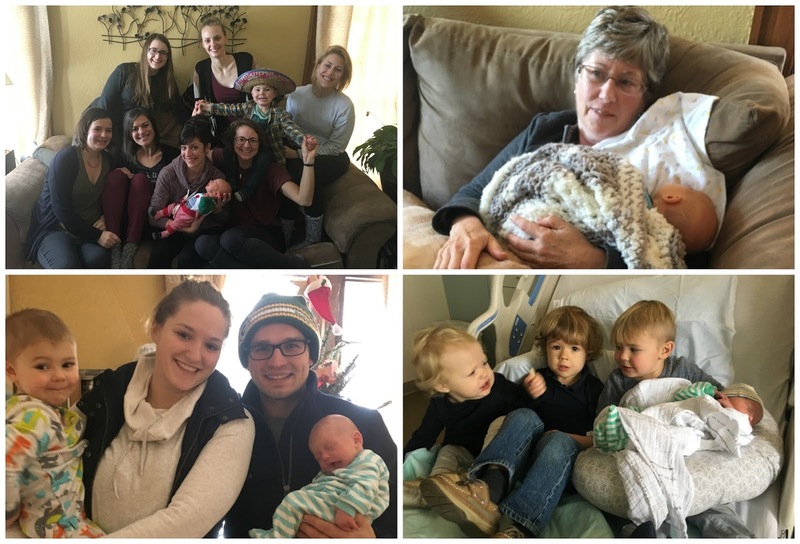 Yesterday, Callum spent all day with his Oma (my mom) and I was planning on writing this post during one of Gus' longer naps. Well, guess who decided not to sleep like at all! He had such impeccable timing. So, like I said, I really want to get to his birth story, but it's just a matter of actually getting to it. Edited to add: It ended up taking me four more days to finish this. 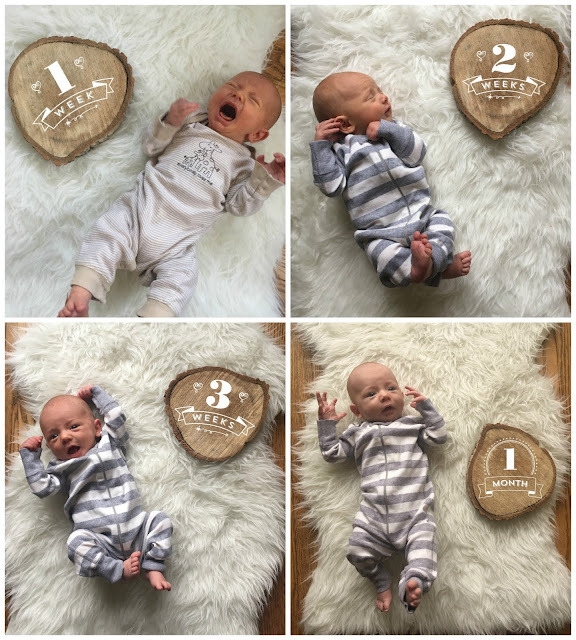 Here's what August has been up to for the first month of his life. 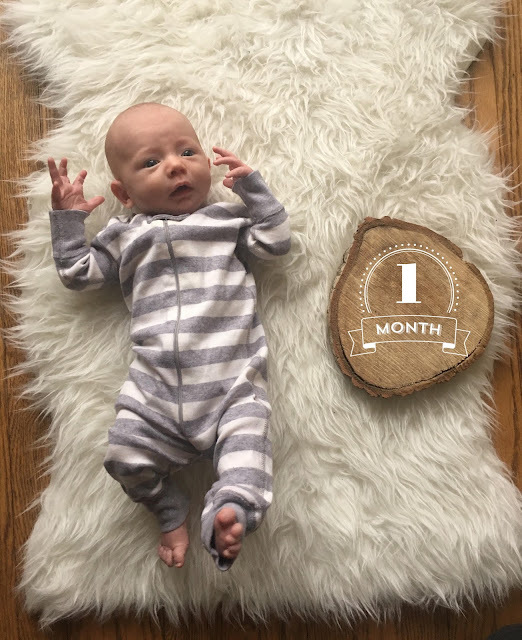 Yesterday, at Gus' one month doctor's appointment, he came it at a whopping 8 lbs, 8 oz and 20.5 inches. (He was 7lbs 5oz at birth and 19 in.) That put him at about the tenth percentile for both. Callum was small, too. In fact, I don't think Callum was much over his birth weight at his one month appointment. So, I was very happy to see that Gus has been doing well. Because we did initially have such weight gain and nursing issues with Callum, I ended up buying a baby scale to have at home. I must say: It is probably the best investment I have ever made. It has given me such piece of mind and I don't stress constantly about every single spit up between doctor's appointments. After the few initial bumps, nursing has been going really well. Gus had no problem latching and figured out what to do right from the start. It was my body that needed a little push in the right direction. Just like with Callum, my body seems to need a little bit longer to build up supply. 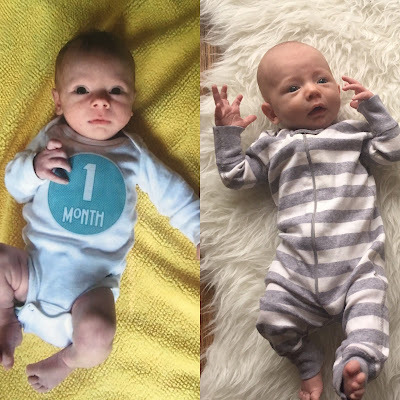 For the first two weeks of Gus' life, we were struggling with high bilirubin levels and his pediatrician wanted us to supplement a bit in order to flush the bilirubin out. Of course, I was super stressed out about this and was so worried it would affect our breastfeeding relationship and my supply. Fortunately, he went back and forth from bottle to breast just fine. Plus, he doesn't seem to be bothered by the formula. While we were doing that, I was pumping like a mad woman and it all seemed to work out. In addition, it's nice to now know that he doesn't mind a bottle or a little formula in case I'm not home and he's suddenly starving. This is going about as well as can be expected. There is absolutely no real pattern or routine to his sleep schedule at all. Just when I think we're starting to develop a little pattern, things completely change. Just like any newborn, his favorite place to sleep is in someone's arms. We generally let that happen whenever possible. After all, he is a newborn. He'll nap for a long time while I'm wearing him in the Moby, too. If I'm home alone with the boys and need to spend a little one on one time with Callum while Gus is napping, I'll put Gus down on his stomach in a little cosleeper we have. Since tummy-sleeping is generally frowned upon on this age, I always keep the cosleeper right by Callum and I while we are playing so I can watch Gus the whole time. I can generally get a good hour nap from Gus doing this. As far as night time sleep goes, it seems to be a new adventure every night. For almost a week, I was getting a good 3-4 hours out of him in the Rock n Play swaddled. But, then Gus decided he wasn't down with sleeping by himself for more than about ten minutes. It's been manageable, but I really hope I have better news next month about his night time sleep. His startle reflex is also out of this world. I can't wait til he grows out of that one. Callum on the right, Gus on the left. Just like Callum, Gus seems to be a pretty strong guy. He's already managed to roll himself over during tummy time, twice. 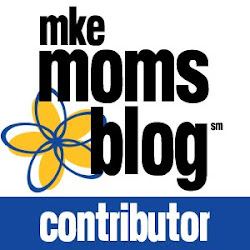 When we were at one of his doctor's appointment, his pediatrician did comment on how much of a mover he is, and we really do have to be careful. I don't even feel comfortable leaving him on his changing table for a quick minute. Callum loves to do tummy time with Gus. He "reads" him a book while he does it, usually Babble Books since he has it memorized. Gus seems to be pretty content on his tummy, too. He's generally happier there than when we put him down on his back. Callum reading to Gus during tummy time. We've been getting a couple little smiles here and there. He seems to recognize my face and his brother's (probably because Callum is all up in his grill as soon as Gus' eyes are open). We see the most smiles from Gus right before he falls asleep, usually as he's eating. It's as if he couldn't be any happier in that exact moment. I love it. The easiest way to get our little man to stop crying is to turn on the water. Seriously. He loves when I do dishes and could sit in the bathroom forever while we take a shower, which has been a life saver. Gus is a big fan of head rubs, too. He'll doze right off as I rub his head. He's got the softest head in the world, too, so I could rub it forever. He also likes sitting in a bouncy chair on the kitchen island while everyone else is eating or just hanging out. The chair has some fun lights and music, and it vibrates, so it's basically sensory overload. He's beginning to love his MamaRoo swing more and more, too. This kid has peed more during diaper changes in the first week of his life, than Callum did in his whole life. I'm thinking we just got lucky with Callum. Either way, Gus screams just about the whole time we change his diaper. Then, out of no where, he'll quiet down for just a second, and then he pees! I've gotten better at expecting it, especially since he sort of lets me know when it's going to happen. See above about diaper changes. Seriously. It's the only real time he screams uncontrollably. He doesn't love having his arms swaddled. I've tried to force it, but he'll grunt and wiggle until his little arms are out. He just likes to have his arms close to his face, so we swaddle them up. He also doesn't seem to be a huge fan of a pacifier. I keep trying. I'm still hoping that he'll take it. It would make our life so much easier. He also seems to generally dislike the hours between 6:00 - 8:00 PM. He's pretty fussy after dinner and is not happy unless we're walking around and bouncing him, or feeding him. Overall, Gus is a pretty low key baby. No signs of colic, no real extended periods of screaming. I guess we'll keep him. So, in the words of our four-year-old neighbor, Bronte, "Having a baby is nice, but it's really hard." Ain't that the truth. That's exactly how I would describe life right now. We're very tired and learning how to be a family of four. Overall, I'm feeling really good. It does seem to be just a little bit easier the second time around. I have so much more confidence in myself and feel like I better understand my baby's needs. Callum seems to have adjusted well, too. He has his usual three-year-old moments, that sometimes drive me crazier than they should. There have been a few times where I can tell my patience is much shorter with Callum, but I seem to be pretty good at catching it and redirecting both of us. At this point, he probably doesn't even remember life without Gus. Whenever we talk about going out somewhere, he always asks if Gus will be coming along, too. He wants to make sure he'll be there. I'm so looking forward to when the two of them can really play together. Matt's been off of work for the last two weeks, which has been amazing. We're going to miss him so much when he goes back next week. I just know things will be much crazier as I'll be spending most of my days solo with the boys. In all seriousness, sometimes, I can hardly believe I'm the mom of TWO little boys. I can't even believe how lucky I am. Life is so, so sweet. I wouldn't trade the sleepless nights, dirty diapers, or messy house for any of it. This post would not be finished without a big ole thanks to all the amazing friends and family we have in our lives. All the meals dropped off, play dates with Callum, and just constant check ins have been more appreciated than anyone could every know. I promise I have actual thank yous on my to-do list. But, for all my friends and family out there who have been around this past month to help us, just know that this month was better because of YOU. Thank you, thank you, thank you! Here's what we've been up to the last month. He's here! 3:00 AM on December 6. First family photo. Taken after Matt and I had been awake for 24+ hours. Just a handful of the wonderful visitors we've had. Ice skating at Center Street Park. Watching a Packer playoff game with Dad. Lots of love from Callum.